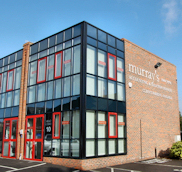 Finally, you've made it to Murray's Accounting Services, a friendly face in a crowded market place. Welcome! Based in Chesham in Buckinghamshire, we're Chartered Accountants, tax and business advisers providing a comprehensive range of value-added accounting, audit and commercial services to an extensive range of small and medium sized businesses and high net worth individuals, across the Thames Valley and beyond. 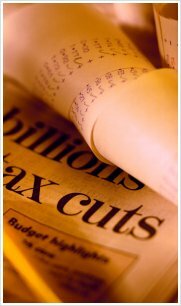 In addition to the usual accountancy products such as preparation of accounts and taxation returns, we also supply range of unique, specialist financial and business services, including tax investigation, forensic accounting and business management advice, which we now offer to all our clients. 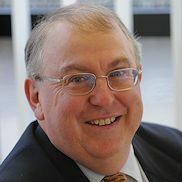 We act as expert advisers and thoughtful, insightful, commercially-focused business consultants to each of our clients. Our team's formidable range of expertise and experience allow us to offer advice and services of the very highest professional standards. And, we hope, our results speak for themselves. We'll do all this in a language you understand, tailored to your individual situation. You'll find us professional, proactive, prompt and personal. No matter what your business or personal requirements, we'd like to meet you face-to-face BEFORE you make any decision about the future of your financial plans. We think we're pretty good and we'd relish the opportunity to prove it! A small monthly fee can safeguard you against the professional fees incurred by an HMRC tax investigation up to �100,000. With HMRC investigations growing exponentially, this new initiative could save you professional costs whether you're a business owner or an individual. 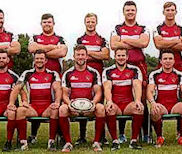 As part of our support for community initiatives, Murray's has been involved in sponsoring London 1 North league Amersham and Chiltern Rugby Club for some time now.